We are entering the seventh week of the 2019 legislative session, and disability advocates continue to be busy around the Capitol! Things will be moving fast around the Capitol in the coming weeks as committees work hard to move bills through the legislative process. We will continue to keep you informed about progress on policy bills that could potentially impact the developmental disabilities community. Note: These deadlines do not apply to the Joint Committee on Ways and Means, other joint committees, the Senate Committee on Finance and Revenue, House Committee on Revenue, and the Senate and House Committees on Rules. Bills that are assigned to these committees can be acted on until the end of the session. 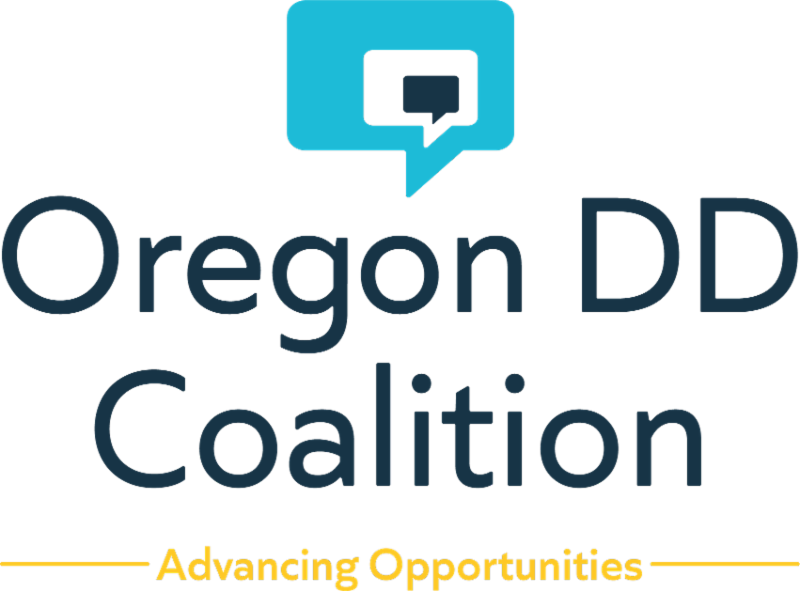 The Oregon Developmental Disability Coalition’s GO! Project Advocacy Team will be available from 10 AM to 2 PM to provide information and support. Join us for free legislative advocacy training from 11 AM to Noon. On the Advocacy Day - Wear something yellow to show unity in advocacy then stop by our Advocacy Headquarters in Capitol Room 167 before and after your visits for important advocacy updates and to complete our GO Project Survey. We will also be hosting Advocacy Days April 30 and May 7. Every child deserves a bright future! The Joint Ways and Means Education Subcommittee will be holding a Public Hearing this Wednesday morning! Please consider testifying about the importance of EI/ECSE Services. The GO! Project and our partners at the Oregon Alliance for Early Invention are available to help you prepare. If you are not able to make it to the Capitol, we encourage you to email one to two paragraphs about how Early Intervention / Early Childhood Special Education has helped your child and family to the Oregon Alliance for Early Intervention so they can get your message to key legislators this week. Send your story to ocddaei@gmail.com and be sure to include your name and contact information along with a photo of your child. Coos Bay: Saturday, March 9, 1:00-3:00PM at Marshfield High School, Auditorium, 972 Ingersoll Ave.
Pendleton: Friday, March 15, 5:30-7:30PM at Blue Mountain Community College, Pioneer Hall, Bob Clapp Theatre, 2411 NW Carden Ave.
Portland: Thursday, March 21, 5:30-7:30PM at Portland Community College – Cascade, MAHB 104 Auditorium, 5514 N. Albina Ave.
o HB 2211 Directs Department of Human Services to study issues and identify barriers relating to employment of persons with disabilities. o SB 720 Expands crime of official misconduct in the first degree to include certain acts by persons responsible for approving licensing or certification application for provision of care to vulnerable persons. o SB 725 Specifies charges or convictions that may not be considered in fitness determinations; puts limitations on frequency of criminal records checks. • 8:30 am / H-170: Joint Committee on Ways and Means, Subcommittee on Education will continue to hear invited testimony on HB 5015 (Grant in Aid) and HB 5016 (State School Fund), the budget bills for the Department of Education. o SB 719 Directs Department of Education to conduct evaluation and administer pilot program related to abbreviated school day programs. o SB 16 Specifies types of licensed health care practitioners authorized to perform assessments or examinations for purposes of determining special education services eligibility. o SB 486 Establishes timelines by which evaluations must be completed to determine eligibility for special education. o SB 918 Public Hearing: Directs local mental health authority to notify local systems having contact with deceased individual 24 years of age or younger of suspected suicide if local mental health authority received notice of death from third party. o HB 2215 Work Session: Adds to rights of persons with mental illness committed to Oregon Health Authority, right to reasonable privacy and security in resting, sleeping, dressing, bathing, personal hygiene and toileting. o SB 31 Work Session: Permits Oregon Public Guardian and Conservator to establish county, regional and statewide high-risk teams to determine options available for addressing safety risks facing highly vulnerable adults. o SB 490 Work Session: Adds individuals who have operated child care facility in violation of child care facility or Central Background Registry law to list of individuals who are prohibited from providing child care for five years. o SB 727 Work Session: Requires Department of Human Services to adopt by rule program that provides financial assistance to recipients of supplemental nutrition assistance for purchasing locally grown fruits and vegetables from participating farmers’ markets, farm share sites and retail outlets. o SB 491 Work Session: Transfers from the department of Human Services to the Oregon Community Foundation responsibility for administering the Fairview Housing Trust. o SB 833 Work Session: Directs Department of Human Services to require criminal records checks on non-involved parents prior to releasing child in protective custody to custody of non-involved parent. • 8:30 am / HR 50: Joint Committee on Ways and Means, Subcommittee on Education will be allowing PUBLIC TESTIMONY on HB 5015 (Grant in Aid) and the budgets for Early Learning and Youth Development programs, which includes the budgets for EI/ECSE services. See the additional information in this newsletter about sharing your personal stories with legislators, and please join us if you can! o HB 2601: Limits guardian's authority to limit protected person's preferred associations with third parties. o HB 2908: Relating to expansion of Oregon Project Independence statewide. 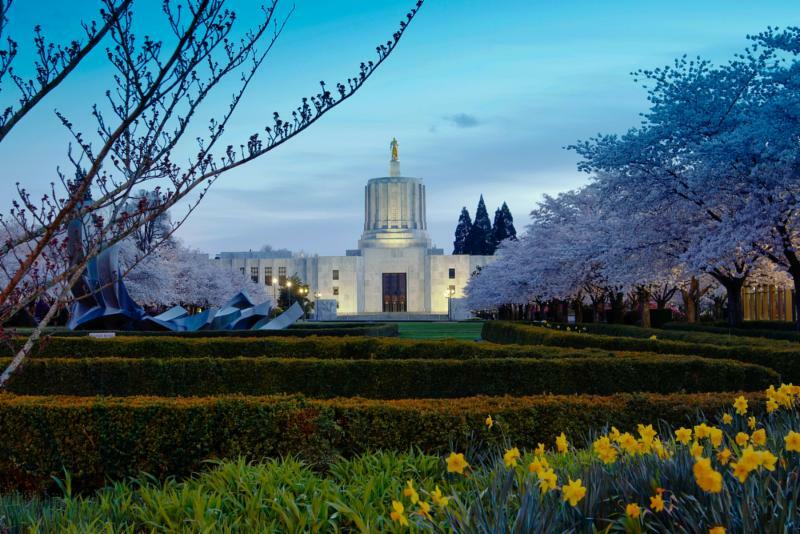 o HB 3000: Directs Department of Human Services to deduct expenses for medically necessary guardianship services from recipient's income when calculating eligibility for assistance provided by Oregon Supplemental Income Program. • 8:30 am / HR F: Joint Committee on Ways and Means, Subcommittee on Education will be allowing PUBLIC TESTIMONY on the State School Fund and other K-12 budgets contained in HB 5015 (Grant in Aid) and HB 5016 (State School Fund). • 1:00 pm / HR F: Joint Committee on Ways and Means, Subcommittee on Transportation and Economic Development will be allowing PUBLIC TESTIMONY on HB 5039 , the budget bill for the Department of Transportation. Note: Of particular interest to disability advocates is the proposed elimination in the Governor’s budget of approximately $10 million for senior/disabled transit spending. The statewide payroll tax dedicated to investing in transit services cannot be spent on existing services like these, which means the possible elimination of these vital transportation services that are relied on by many seniors and people with disabilities. Transit advocates have been working on this issue. If you rely on these senior/disabled transit services and have a story to share, please contact us and we can put you in touch with those who are leading the advocacy on this issue. • 3:00 pm / HR B: Senate Committee on Human Services will be holding a public hearing on SB 917 , a bill that makes interfering with disclosure of information about treatment of an individual cared for by an entity described in the bill an unlawful employment practice. • 3:00 pm / HR E: House Committee on Health Care will be holding a public hearing on HB 2831 , a bill that provides funding to peer-run organizations in Portland metropolitan area, southern Oregon region and eastern and central Oregon region to operate peer respite centers to provide peer respite services to individuals with mental illness who experience acute distress, anxiety or emotional pain.